Have you ever been jealous of those people who are able to manage everything, and yet they have enough time in hand to spend with friends and family, or just themselves? We often confuse being productive with being busy. But the fact is that the two are not synonymous. There is a difference between the two, and the two are mutually exclusive. A few changes in your approach to work and your daily lifestyle might change things for you, as well. 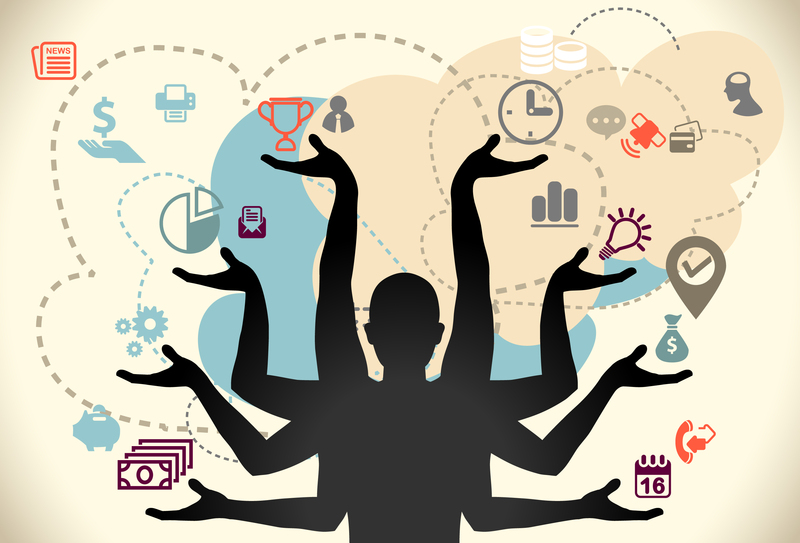 Time management and energy management are the keys to becoming more productive. You have to remember that the main goal is to make a change in your process of working so that you have to expend the least time and energy and get the greatest output. The concept of efficiency can be applied to your personal life, as your ability to do things well without wasting energy, efforts and time. The work at hand must not claim all your energy. Besides, having effectiveness does not require you to devote your entire time to the work at hand. In fact, it has often been proven to be quite the contrary, i.e. with less time devoted, you can accomplish more work. American industrialist and founder of Ford Motor Company Henry Ford conducted experiments in 1926 and proved that when you decrease your daily working hours, and hence shorten your work week, your productivity increases. So, if you think that working overtime will help to hasten the work, you’re wrong. 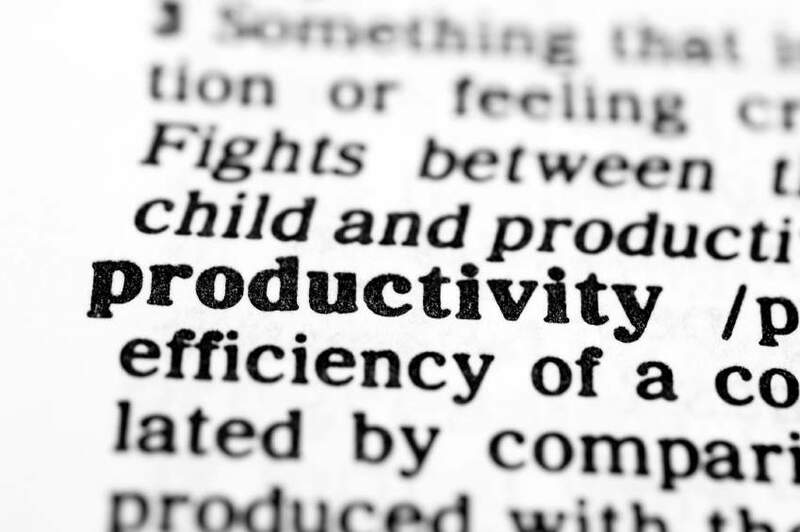 In other words, your productivity and effectiveness will drop with more work, over short term, as well as long. Working for long hours is not helping you – by overworking, you are just tiring yourself out. This leaves you stressed and you cannot use your skills optimally when you are in a state of exhaustion. It’s all about working smart instead of working hard. 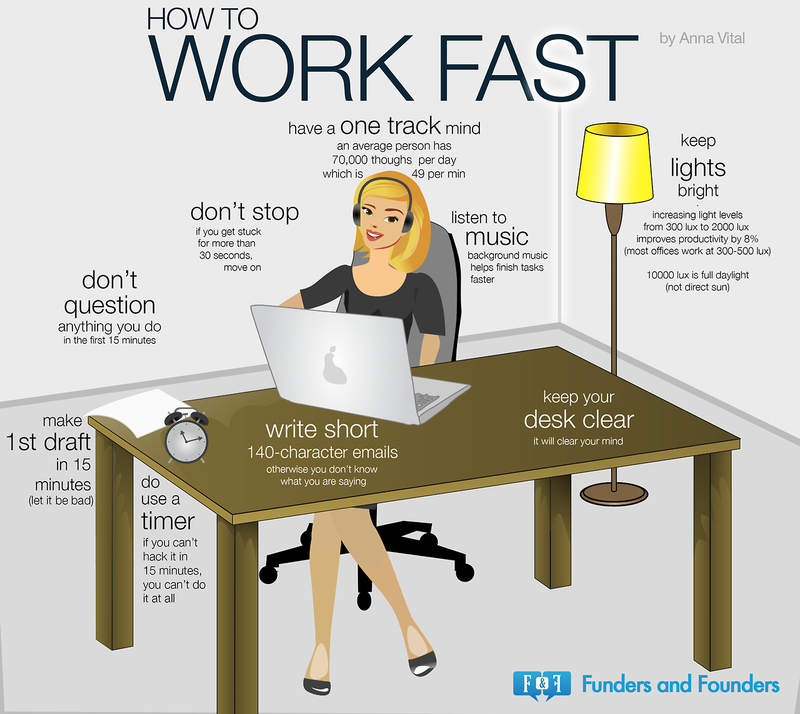 Take a look at how you handle your work. We often end up being repetitive. We do manual work when much of the task can easily be automated. There is no harm in finding short cuts to getting your tasks done. Labouring for hours to do manual work will not help to achieve perfection. In fact, it’s time you learn to stop pushing yourself to be a perfectionist. Urged by perfectionism, you spend more time on a task than required, fixating on trivial details. So, look at the big picture. Instead of complicating things for yourself with redundant perfectionism, and focusing on small things, pay attention to the important things. Delegate the rest of the work to others. There is no reason for you to take on a task and do it alone, without asking for help, or delegating tasks. Whether you are the team leader in a big company, or the CEO of your family, it is a good choice to be a team player. When you let everyone put their skills to use, you can be sure that the result will come out to be better than you can single-handedly manage to achieve. It is alright to study the notes prepared by your study buddies, instead of trying to add your personal touch to them. There is no harm in getting a baby-sitter so you can read a book or go out. Start letting others help you. It has been noticed that perfectionists and self-contained people like to wait for the perfect moment to do their work. In other words, perfectionism is the primary reason for procrastination. The first thing to do is identify the procrastinating pit-stops and eliminate them from your life. Pick the website from your browsing history that you spend hours browsing through for that perfect pair of shoes that you won’t buy, and remove it from the browser bookmarks. Disable the automatic notification option in your WhatsApp. Social media can be quite addictive, too – you click on the link of the video where Charlie bites of his brother’s finger, hoping to have a short laugh, and half an hour later, you’re still browsing through baby videos. You hope to read the comment on alimonies, and an hour later, you can’t calm your rage from the heated argument with the misandrist. While quitting social media might be too drastic a step, but if you think that it is what you need to do, then go ahead. The point is to get rid of distractions of all kinds from your environment, to help you concentrate, and a change in your environment will help largely. Get rid of clutters at your work desk. Keep your room clean. Where you spend most of your time must be inviting enough to make you want to work, instead of leaving you feeling irritated, or think of your bed. If necessary, change your work station altogether. But environment doesn’t denote only the table or room. It includes the people you’re around. If you’re around motivated, successful people, their spirit will be rubbed off on you, and you will be encouraged to direct greater attention to the work at hand, making full use of the time during which you work. To put your working hours to good use, spend some time first in planning. Have a course of action, instead of just jumping into action. This will help you have an organized, clutter-free way to become productive, instead of being busy figuring out what your next step should be while doing your job. It will leave you anxious, and even though you might believe that anxiety makes you productive, the fact is that your ideas and effectiveness come from you, and are not induced by anxiety. Don’t keep the tough jobs for the end. Finish them first. It’s classic procrastinator at work when you try to finish the easy jobs first and keep the tough ones for the end. Being organized also means systematizing your time. Maintaining a routine can be very helpful in organizing and prioritizing your work. But, it does not mean you have to chalk out the details of each and everything you have to do. It’s about breaking up your work into smaller segments, such as deciding topic, research, creating outline, etc. Let’s consider the everyday job of cooking – think of the item you’ll cook, its ingredients, cooking time, etc., and go ahead with it, instead having to run out to get a missing ingredient while cooking. Thus, it can work in daily life, and not just profession and education. A timetable will help you to remember the deadlines, as well. Having a routine also means that you allot a roughly estimated amount of time for certain tasks, and also keep some time for doing nothing at all, because we all know what all work and no play does to Jack. Don’t think of what you’re missing while working, and don’t think of work while working. Make sure you find time for your loved ones. Remember to do what you love most, like catching a movie, or practicing those dance moves in front of the mirror. Do what relaxes, be it meditation or music. Don’t forget to maintain a healthy lifestyle. Wake up early. Exercise. Have proper meals. Have proper sleep. Take a long bath. Indulge in short naps between long hours of work. Do everything that keeps your mind, body and personal life healthy, which will help you focus. Learn to say no when you’re given tasks you can’t handle, because your people-pleasing attitude simply burns you out. Your routine should help you figure which job is ‘extra’. Set your target, and keep eyes on the goal. 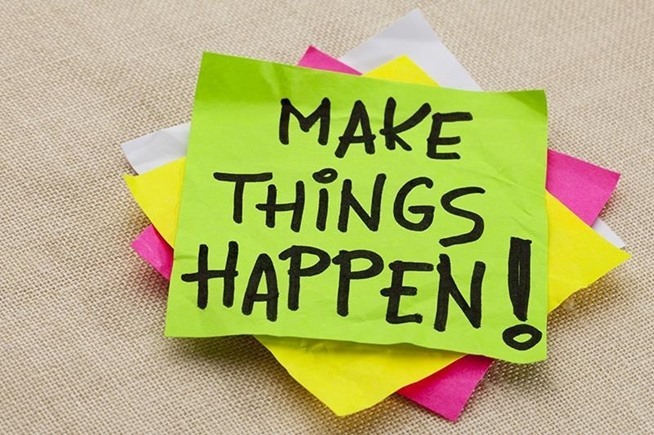 Maximize your output ad motivate yourself by identifying your exact goals. Tell others about the exact destination on your mind. Once you do that, you will have a constant reminder that you will be held accountable for completing a task. You will also want to maintain the solidity of your words and stay true to them. This will help to replace the word ‘should’ with ‘will’, as you will learn to stop giving excuses of any kind. Instead of being lazy, you will eventually tell yourself to go ahead and complete the work without any delay. Even though these steps are hard to follow, and you won’t get accustomed to them in a day, you will learn to love your work once you start getting closer to the results. Being productive definitely leaves us stress-free, but if that takes up all the time, it will leave a person frustrated and tired, anyway. So, when you manage your time well and get your work done, it will help you have time to relax, reflex and enjoy life, because working hard, be it to get the degree you’re chasing, a big salary, or to keep your family running smoothly, you have to remember that your life is also about you, and when you have the time to be you, your vigour for life is renewed, so that you can keep doing what you love. It is the virtuous circle that’s needed in your life to keep it running smoothly.